Building on the success of our 4-week ‘learn to cook’ course in autumn 2011, Didsbury Dinners aims to teach another 100+ people how to cook, for free! We’ve recruited a team of 12 Volunteer Community Cookery Champions to help us achieve this ambitious goal. Each member of the team will teach a free 6-week cookery course (consisting of six 2-hour cookery sessions) in South Manchester. 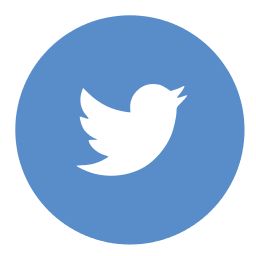 The team will be supported by, and accountable to, the Didsbury Dinners ‘learn to cook’ planning group, and will work closely with the local community. To register your interest in attending a free cookery course, please email us: cook[at]didsburydinners[dot]com your completed application form. Priority places will be given to people with below average cookery skills, a small regular income, and low savings. Our Cookery Champs were recently set the challenge of preparing a quick and easy dish from the contents of a seasonal veg box and a handful of cupboard basics. You can see some of their fantastic recipes here. 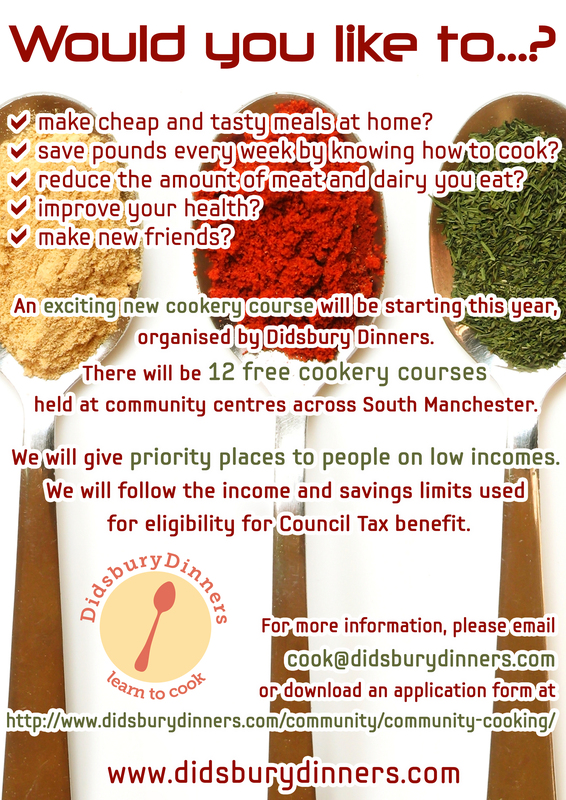 Didsbury Dinners is a community group based in Didsbury, South Manchester. We signed Manchester’s climate change action plan ‘Manchester: A Certain Future‘ and again wish to make sustainability the focus of the Didsbury Dinners ‘learn to cook’ sessions. If you would like to help with the day-to-day running of the project, or to be a helper at cookery sessions, please do get in touch. Our four-week pilot ‘learn to cook’ course was led by Alison Maudsley, a cookery tutor for the Cracking Good Food cooking network based in Chorlton. Priority places on the course were given to people with below average cookery skills, a small regular income, and low savings. 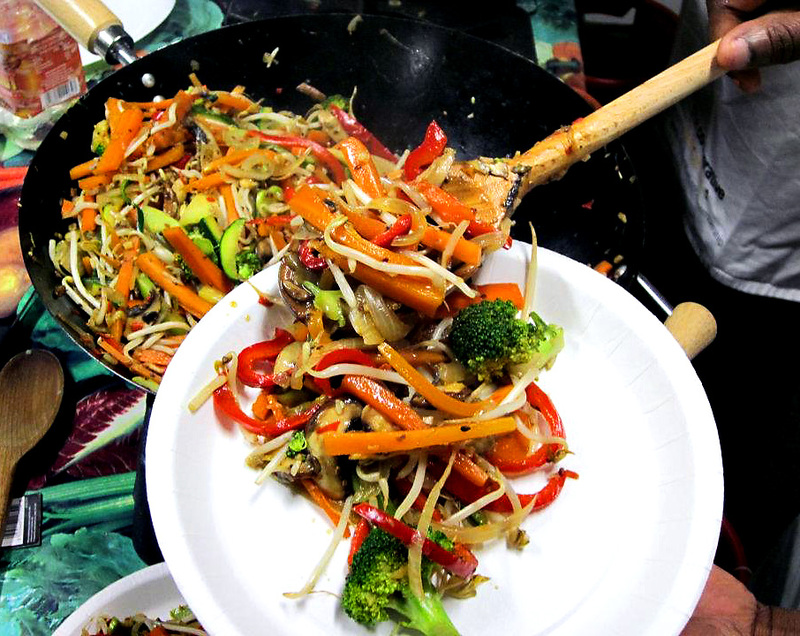 Participants learnt how to make quick and easy stir-fries; simple sauces; soups, stews and pies; and Mexican dishes. Amanda Woodvine, editor of Didsbury Dinners: The Low-Carbon Community Cookbook, taught the group about food sustainability issues, including reducing energy when cooking, how to source food locally, and how to cut down on food waste. After completing the course, all of the budding chefs rated their skills as either very good or excellent. One participant, Mario, noticed a definite improvement in his cookery skills over the four weeks. Details of other cookery classes local to Didsbury can be found here. Lovely, relaxed atmosphere, catering for allergies and other people without a fuss. Children welcome and not just tolerated, but full on members of the course. How refreshing! I’ve enjoyed learning new skills and meeting new people, and now have more confidence in the kitchen. My cookery skills have improved from poor to good. I’m a retired lady and this is one of the best short courses that I’ve been on! I’ve most enjoyed using some ingredients that I haven’t used before. Kyra and the girls have made learning so much fun. The course has made me look at my eating habits and their impact on the environment. I’m now not going to eat meat. The course has been a most enjoyable experience. Everyone’s been very friendly. I have improved my own awareness of vegetarian cooking and I can’t find fault with any aspect of the course. I’d most definitely recommend it. Brilliant. I’ve enjoyed all aspects of the course. The food tasted wonderful. All the yummy quick recipes were useful and delicious. Real good value meals. I liked learning about and tasting all the different ingredients, some of which of I had not seen used before. The co-operation between all of the students in chopping and so on was fun. I’ve really enjoyed swapping tips and ideas. A friendly tutor has been very helpful. Loved the enthusiasm of the teachers! I enjoyed finding about using different herbs and spices to make dishes tastier. And it was handy to cover of all the basics, explaining chopping techniques and how to make dressings. Friendly atmosphere, and I would also like to learn how to grow my own veg! Interesting to see different veg I’ve never used before. The best bit? Making curries! And how easily tomato sauces can be made. I love the curry!